1. Butterfly Park: This place was heavenly.There was small stream with pretty fish. u could actually hear the trickling water. 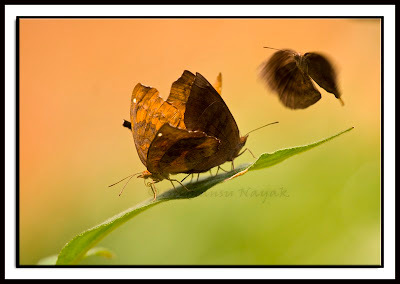 And there were butterflies all over…of various families…of different colours…of different sizes and designs. The park is dome-shaped and there was light trickling down from the glass roof. 2. The second thing was the Jungle Lodges Hillview restaurant. This is a good restaurant and just about 100 mtrs from the butterfly park. For INR 200.00, one can have sumptuous buffet of both veg and non-veg food there. The taste is good too. We all hogged-what with all the sagari in a rickety grilled van and all the trekking that happened. Overall, the day was well-spent.